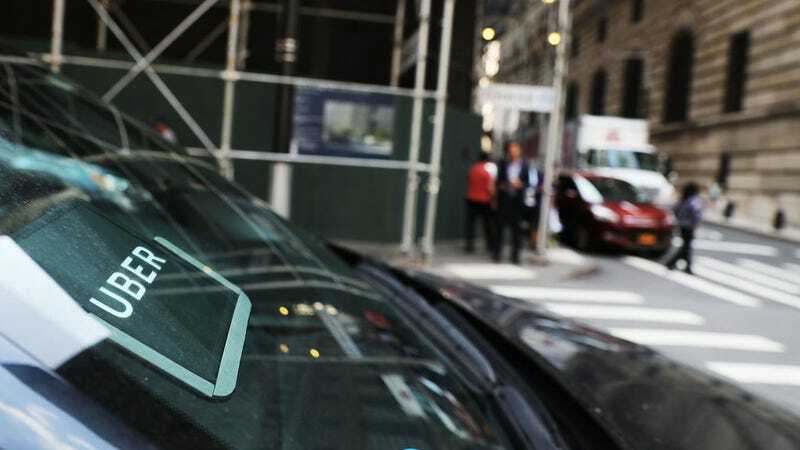 The New York State labor review board has found that three Uber drivers and “other similarly situated drivers” qualify as employees for the purposes of applying for unemployment. The ruling, which the New York Taxi Workers Alliance hailed as a “historic victory,” came down last Friday and was first reported yesterday by Politico. This represents another decision for workers engaged in the “gig economy,” where employers attempt to position themselves as platforms to avoid paying for things like healthcare, benefits, overtimes wages, or providing meal breaks. While not as forceful, the labor review board finding follows a landmark decision by the California Supreme Court in May where delivery contractors working for Dynamex were found to qualify as employees. This turn of events in New York gives some security to the massive ridesharing workforce, which Uber reserves the right to deactivate (see: fire) at any time. It also may provide precedent for drivers to pursue full employee recognition from a company that, a recent TLC-commissions report contends, would represent “the largest for-profit private employer in New York City” if its drivers weren’t classified as contractors. Still, a pall is cast over these state-level victories as an increasingly conservative, pro-business Supreme Court erodes labor rights, like the ability for Uber drivers to pursue class-action suits. We’ve reached out to Uber for comment and will update when we hear back.